Los Angeles will pay tribute to the late Adam West by lighting the Bat signal tomorrow, June 15. West, who passed away earlier this month at the age of 88, played the role on the 1960s Batman TV series. DC Comics announced the tribute on their blog, letting the world know that Los Angeles Mayor Eric Garcetti and Police Chief Charlie Beck will light up the Bat signal at City Hall starting at 9:00pm Thursday evening. The legendary star of the classic Batman TV series, which aired from 1966-68, passed away on Friday, June 9 at the age of 88. 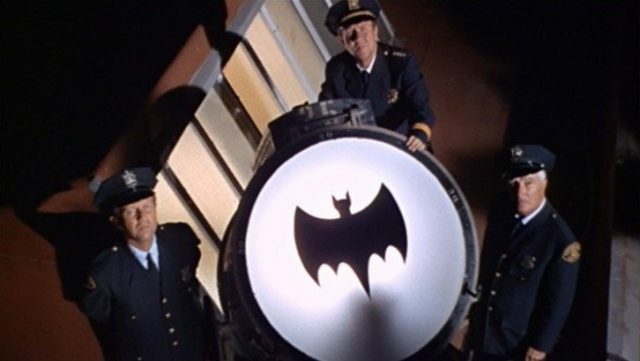 In remembrance of West’s unforgettable portrayal of the celebrated “Bright Knight,” Mayor Garcetti and Chief Beck will light the iconic Bat signal, which will be projected onto the tower of Los Angeles City Hall at Spring Street. Attending Bat-fans are invited to don their Bat-suits and trusty utility belts in honor of West’s signature role as the true crimefighter. Attending Bat-fans are invited to don their Bat-suits and trusty utility belts in honor of West’s signature role as the true crimefighter. Are there any LA readers planning to attend the ceremonial Bat signal lighting? If you do, we’d love to see your pics and hear your thoughts about the late Adam West.